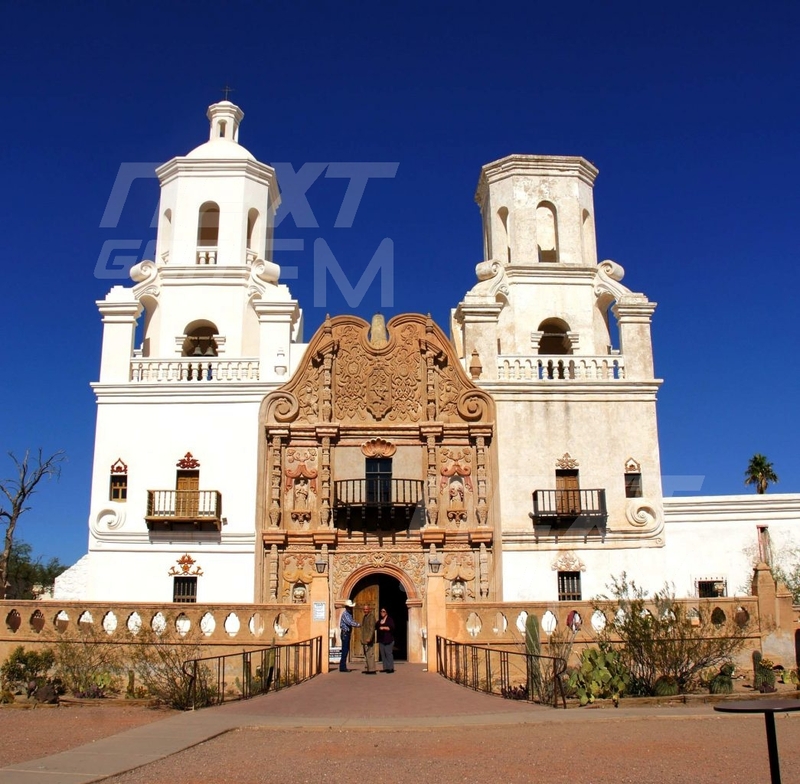 Located south of Tucson heading towards the U.S. Mexico border, the mission is one of the finest examples of colonial European architecture in the world. Renovations are ongoing to keep the church in glorious condition for the many visitors and pilgrims. The front of the mission faces Mexico to the south. 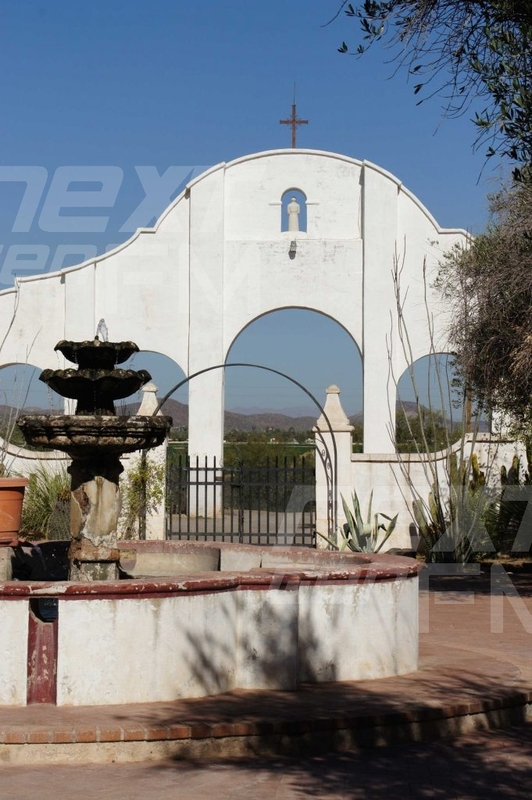 The mission's beautiful white exterior would have been the first sight many pilgrims traveling north would have seen coming out of the desert. 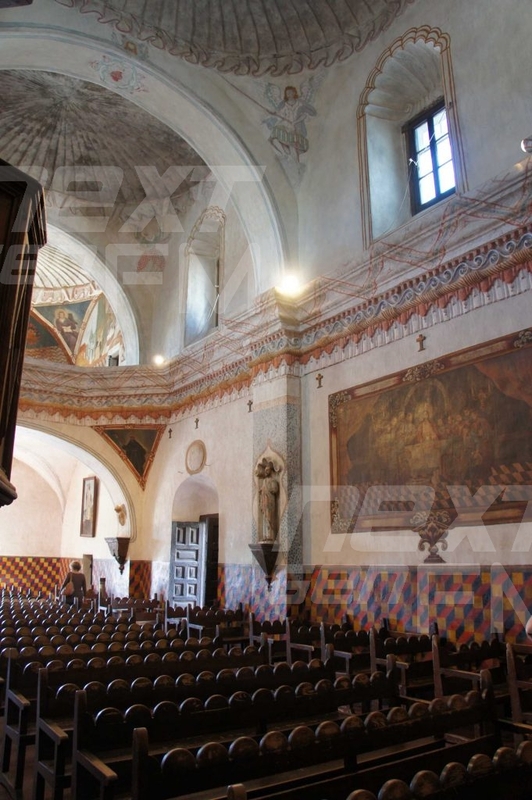 The 400 year old church is one of the finest examples of European colonial architecture in the Americas. Inside the church beautiful painting and architecture can be seen. The last supper is visible on the wall to the right. 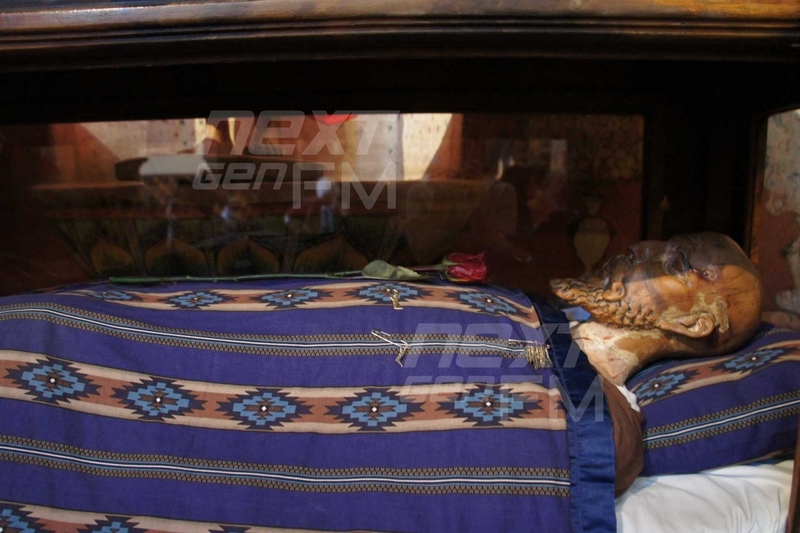 Visitors to San Xavier Mission pay respects and pray to the saint and pin medals on a statue of him representing what they pray for. 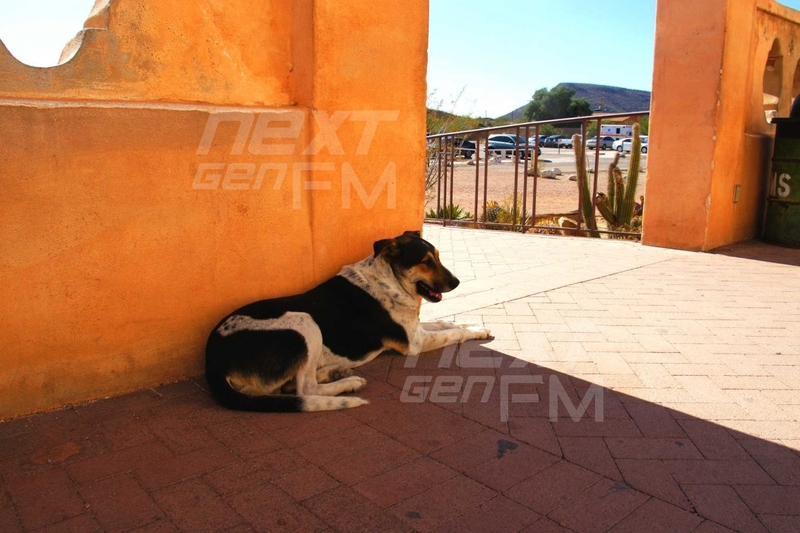 A dog takes a break from the hot Arizona sun in the shade of the church.